After the announcement made by the CBSE to re-conduct the board examination for Class 10th Mathematics and Class 12th Economics due to paper leak. 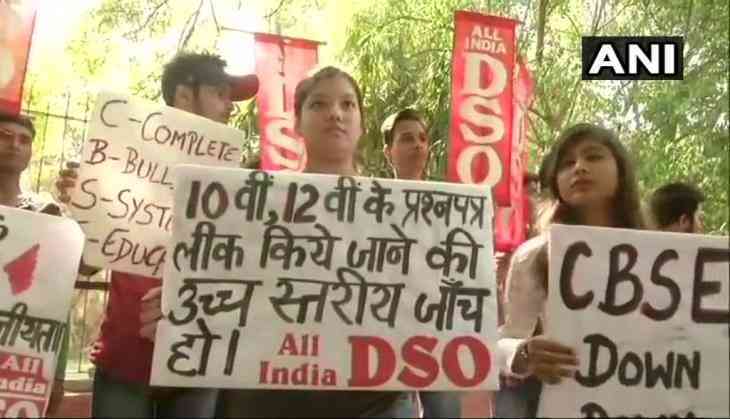 Today, students have gathered to show their protest over the Board’s decision at Jantar Mantar. In this matter, the opposition political party also criticized the government including the CBSE. Now, Bollywood celebrities also jumped into the issue to show their expression. Know what Bollywood celebrities said about the CBSE paper leak issue. Before knowing about the celebrities expression, check out what Congress President Rahul Gandhi posted about the CBSE paper leak issue. Bollywood actor and singer Farhan Akhtar also supported the current situation of the students who will have to re-appear for the exam again and wished them good luck. After Farhan Akhtar, Bollywood actor Emraan Hashmi also takes a jibe at the entire event. He wrote on his Twitter handle that 'After the unfortunate paper leak, the acronym CBSE has a new meaning..... “Corrupt Board For Students' Education “ ! !